If the idea of alien contact sounds good to you, chances are you’ve been watching “E.T.” or “Close Encounters of the Third Kind,” not the Twilight Zone. 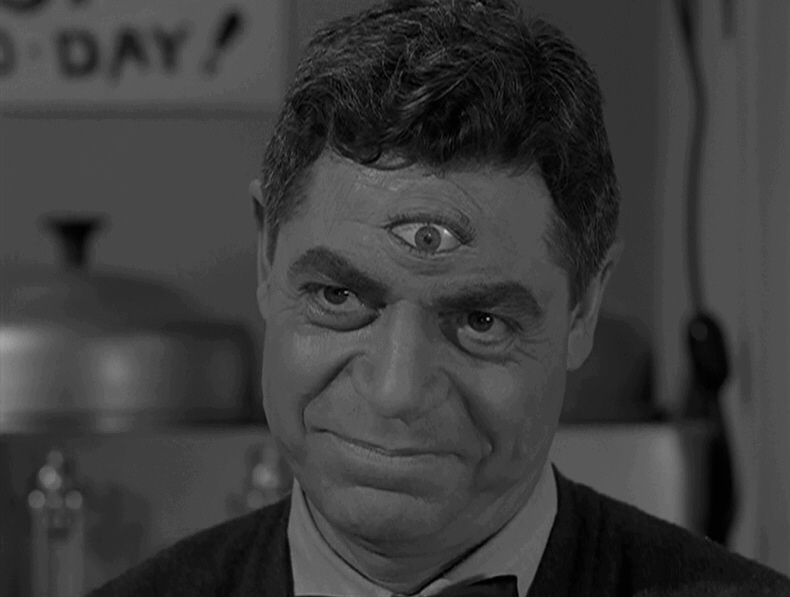 In Rod Serling’s universe, those who hail from Mars — or Venus, or other far-flung destinations — are usually more hostile than helpful. They don’t want to phone home. They’d rather kidnap and take you home. Start with what is perhaps the most famous TZ tale about aliens: “To Serve Man” (adapted from a short story by Damon Knight). The Kanamits just want to share the benefit of their knowledge with us suspicious humans, right? Wrong. We’re the main dish on the Kanamit menu. They’re fattening us up for the dinner table. Or take “People Are Alike All Over.” The astronaut played by Roddy McDowall is appropriately skeptical at first, but the natives seem so accommodating that he relaxes. Too late, he realizes he’s become the main exhibit in their inter-planetary zoo. In “The Monsters Are Due on Maple Street,” the aliens toy with us, encouraging us to destroy ourselves and pave the way for an invasion. In the more light-hearted “Mr. Dingle the Strong,” they give super-human strength or intelligence to various test subjects, and then remove these traits at whim — simply for their own amusement. We have two alien races fighting over us in “Will the Real Martian Please Stand Up?” The only question is whether we’ll be colonized by Mars or Venus. But if you have a talent for playing the harmonica, then “Hocus Pocus and Frisby” suggests that you can stop an invasion before it spreads past your home town. At times, who prevails seems a simple matter of who’s bigger. In “The Little People,” a megalomaniac human astronaut is thrilled to realize that he’s become the god-like ruler of a race of tiny aliens. That is, until two larger aliens scoop him up in a giant hand and accidentally kill him. Little aliens make a return visit to the Zone in “The Fear,” trying (in vain, ultimately) to fool Earthlings into assuming they’re much bigger than they really are. 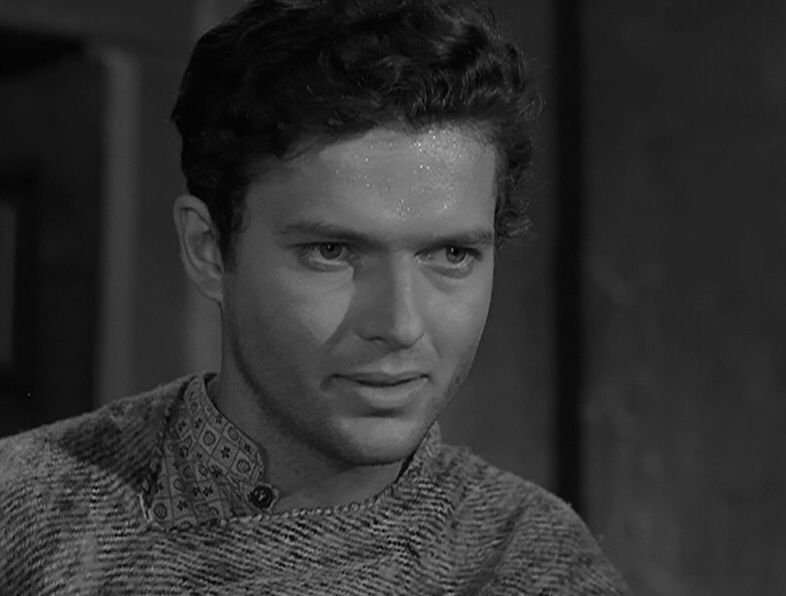 The only exception to the rule, at least among Serling’s stories, is “The Gift.” Human beings (except for one trusting little boy) react with fear and dread to the presence of an alien visitor. He says he comes in peace, and even offers a special gift to prove his good intentions. Disbelieving, they panic and kill him — destroying, in the process, his gift: a cure for cancer. “People with sense belong where they’re put,” insists Thelma Ritter’s character in Hitchcock’s “Rear Window.” Earthlings — and aliens — apparently would do well to heed her advice. 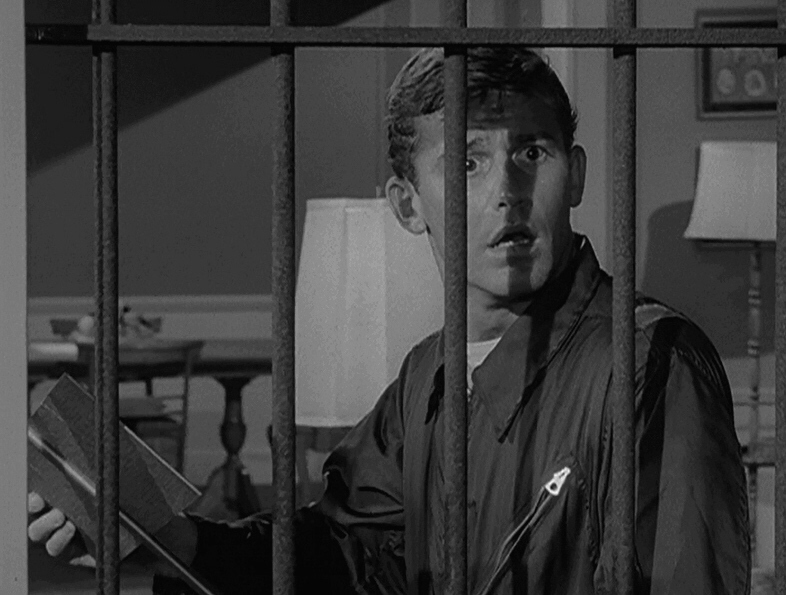 Posted on 09/16/2011, in Twilight Zone and tagged Rod Serling, To Serve Man, Twilight Zone. Bookmark the permalink. 7 Comments. 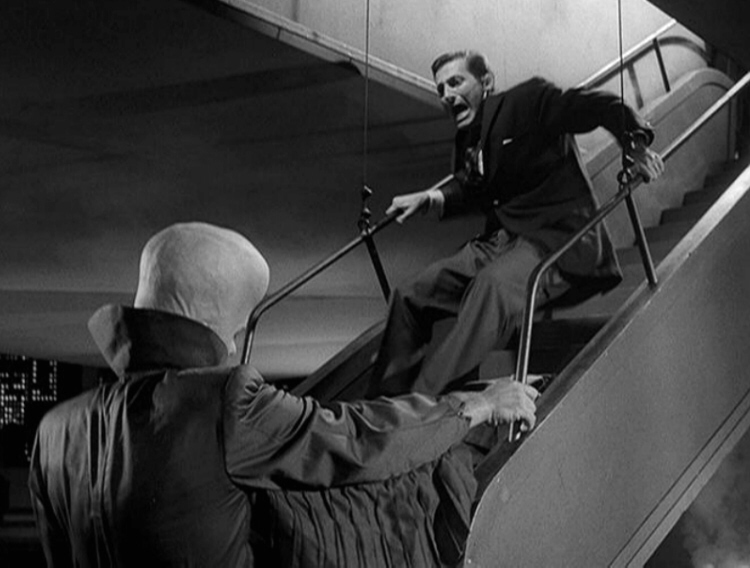 “To Serve Man’ is one of my favorites. And, as you know, one of the most quoted and copied TV episodes ever! Thanks for the fine details. You’re welcome, Steve! Always a pleasure to go think a little deeper about these shows. This is a nice post. I’d like to see more thematic analyses of the show along these lines; most other commentators seem to stick with the episode-by-episode model, which has its points; but it requires more skill, I think, to survey the series as a whole with an eye to overarching themes, and you’ve done that quite well here. Thanks! Glad you enjoyed it, Michael! Yes, I enjoy trying to ferret out themes and look for patterns, rather than just summarize each episode — which, as you note, is a bit too easy. I’ve only scratched the surface here, but it was fun to do. Thanks for reading!